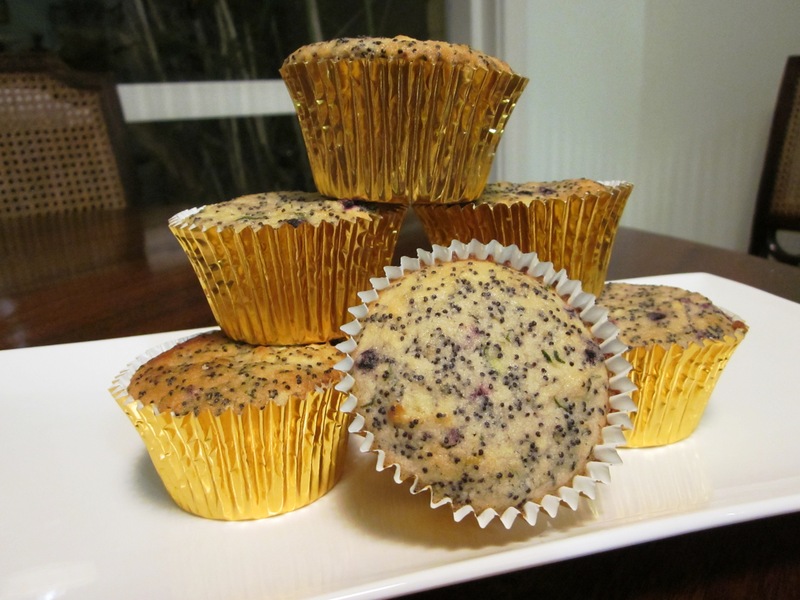 The other day I was in the mood for baking something new, but not too complex. So I decided to make some friands. I pulled out my baking cookbooks to browse a few recipes for ideas (and method), and to my surprise there wasn’t a friand recipe in any of them. So I jumped onto the internet and went straight to taste.com.au. A quick search later I had seven recipes to look through. I decided to try the lemon friand recipe (given my love for all baked things with citrus in them). In writing this now, I stopped for a moment to think about why I keep buying cookbooks when there are so many recipes on the internet these days. I suppose the simple answer is I like looking through cookbooks, getting inspiration, new ideas and learning new things. I can find recipes, flavour combinations or cooking techniques I didn’t know existed. Whereas with the internet, I usually already know what I’m looking for, and am looking for different ideas and ways of doing things before I go off and try my own thing. Okay, cookbook collection justified, back to the friands. 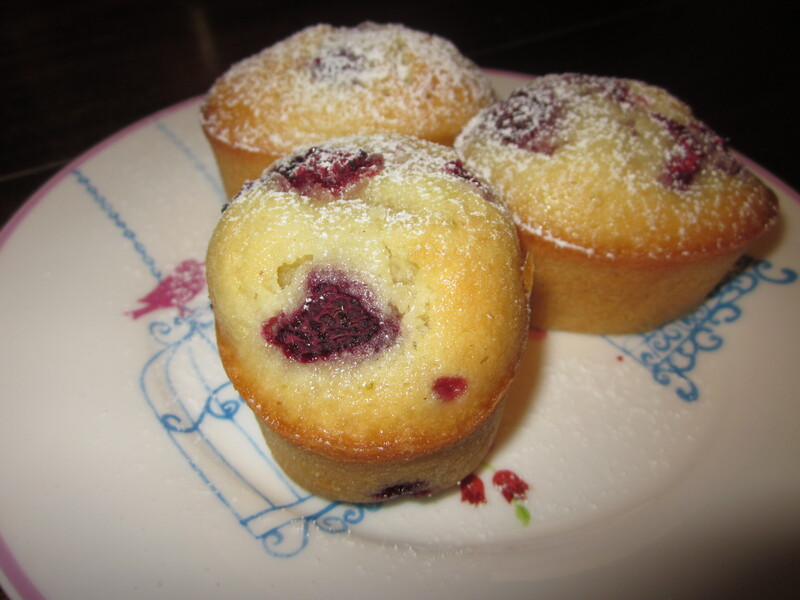 I decided I wanted to add some raspberries to my friands, so off I went to the shops to stock up on almond meal, frozen raspberries and some fresh lemons. I got everything else, but my local big chain supermarket didn’t have any lemons! They did however have limes so I decided to give the recipe a go with limes instead of lemons. I like using limes in my baking, as I think they have a more complex, sweeter citrus taste rather than the straight, strong tartness of lemons (which I also love) and I will often use both lemon and lime together when a recipe only calls for one or the other. 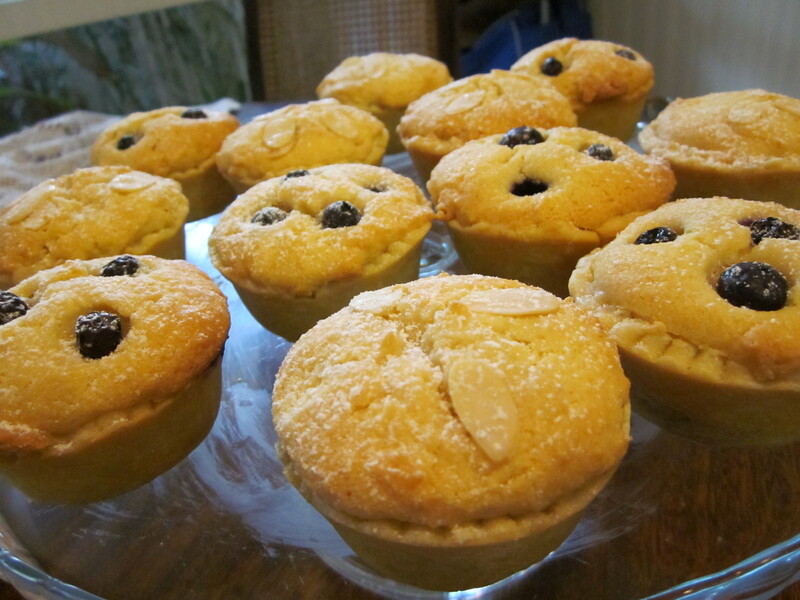 The friands themselves were quite simple to make and turned out well. Although I think I overfilled them so they were a bit bigger than they should be, and also meant I couldn’t serve them the right way with the pattern on top. 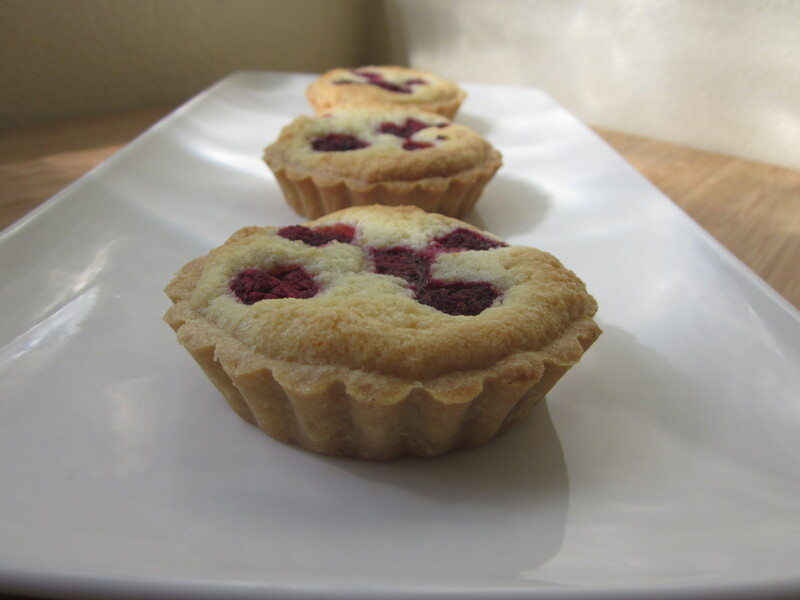 I liked the combination of lime and raspberry, resulting in a fresh, sweet tartness that balanced well with the sweet and textured friand mix. I’m certainly going to make them again.